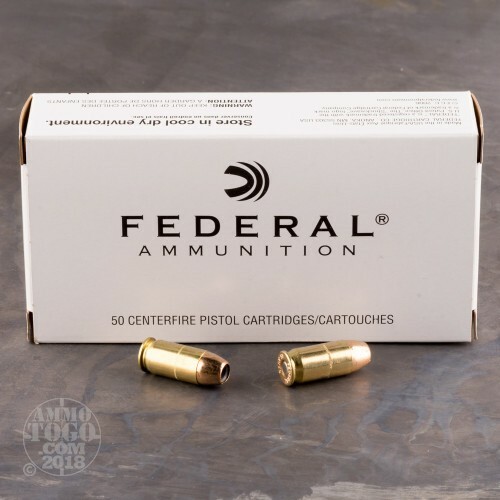 The classic Federal Hi-Shok cartridge design has been tested by time and proven on the street to be effective in ending critical threat situations. 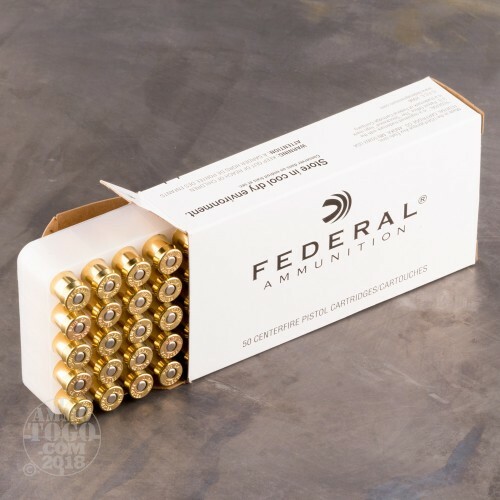 These .45 ACP rounds are assembled using the finest components including non-corrosive Boxer primers, consistently igniting powder, and factory-new brass casings for dependable performance when you need it the most. 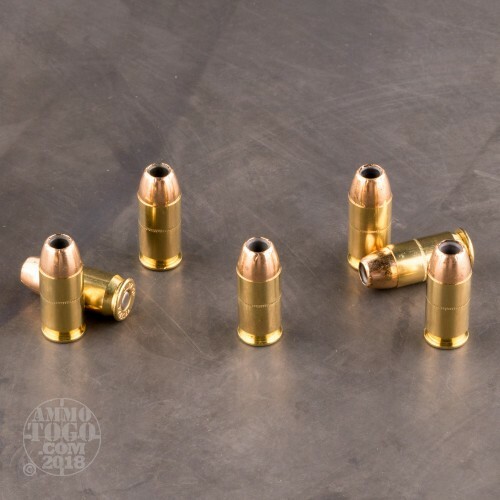 Additionally, the casings have a cannelure which nests the bullet base and prevents setback and subsequent malfunctions while preserving accuracy. 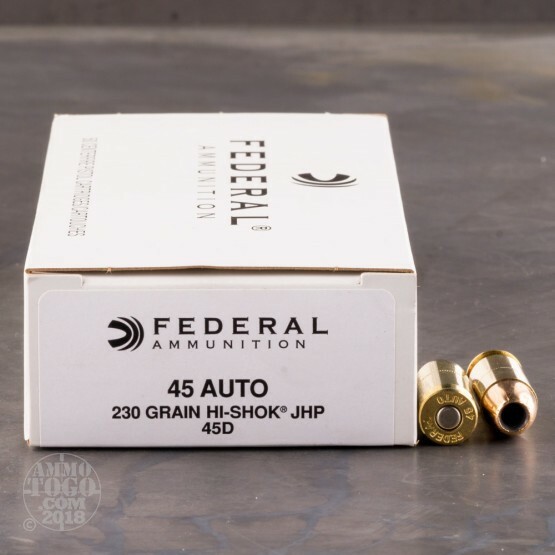 Each cartridge is topped with jacketed hollow-point (JHP) projectile that rings the scale at 230 grains; this is an ideal weight for the caliber and provides smooth recoil impulse and reliable cycling with the widest range of full size .45 auto pistols. Federal's Hi-Shok JHP design utilizes a long ogive and rounded cavity mouth for unimpeded feeding in semi-automatic handguns of any age and feed ramp design. With a deep hollow cavity and pre-scored jacket, Hi-Shok projectiles can be expected to expand wide upon impact for maximum energy transfer, minimal chance of over-penetration, and massive threat-stopping cavitation. Buying in bulk with this 1,000 round pack allows a shooter to test reliability with their chosen carry piece, develop confidence in new magazines, and keep a healthy stash for rotations or a rainy day.